Every year on April Fools’ Day, the NFL offseason unofficially shifts from free agency mode to draft mode. With that in mind, let’s take a step back, reset and look league-wide at the five biggest NFL-related questions as draft month officially gets underway. Where will Josh Rosen wind up? According to about 6,394 reports, the Arizona Cardinals are leaning toward taking Heisman Trophy winner Kyler Murray first overall on April 25. But if that happens, Arizona will of course have to find a trade partner interested in 2018 No. 10 overall selection Josh Rosen, who struggled as a rookie in a bad offense but still has tremendous potential. A report from FOX Sports lists the New England Patriots, New York Giants and Los Angeles Chargers as interested parties. 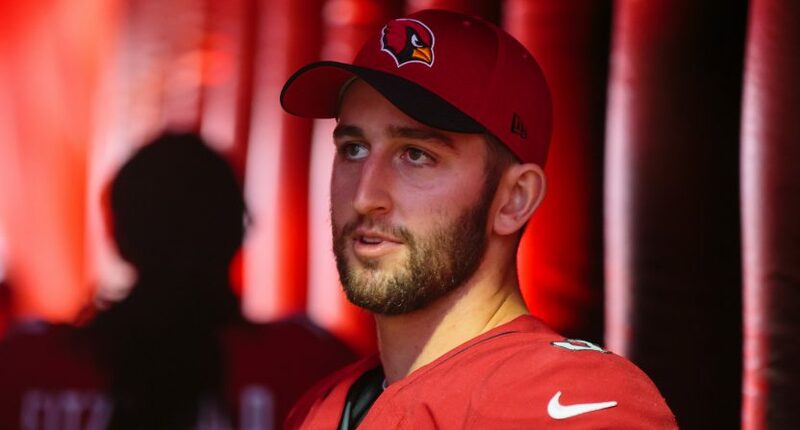 Prediction: Rosen is traded to the Giants, who have a hell of a lot more top-end draft capital than New England or L.A. He spends a year behind Eli Manning, and if the Giants don’t see progress they strongly consider taking a signal-caller early in what should be a quarterback-heavy 2020 draft. Yeah, free agency isn’t totally over yet. Suh is by far the best player still lingering on the market. The Los Angeles Rams have basically admitted he won’t be back in 2019, and Suh has said he wants to remain on the West Coast. *Pulls out map* So that basically leaves the Chargers, Seattle Seahawks, San Francisco 49ers and Oakland Raiders. Prediction: He stays in Los Angeles, where he’s trying to build an empire off the field. And it just makes sense because the Bolts could use the help inside. They need him more than at least Seattle and San Francisco. Oakland would be fun but that’s probably far-fetched with all of the spending the Raiders have done. We might have to wait for draft night to get an answer to this question, but it’s also possible New England uses some draft capital and makes a deal for a veteran tight end between now and April 25. Could they land Jack Doyle from the Indianapolis Colts or Evan Engram from the Giants? What about Jimmy Graham, who struggled during his first season with the Green Bay Packers? Cameron Brate of the Tampa Bay Buccaneers and Tyler Higbee of the Los Angeles Rams might also be available via trade. Prediction: They’ll send a middle-round pick to the Colts for the reliable Doyle, who just isn’t needed now that Eric Ebron has emerged there. But I’d also expect them to draft a tight end early. Will somebody finally sign Colin Kaepernick? When Kaep’s collusion case settled in February, his lawyer suggested the blackballed quarterback could sign somewhere “within the next two weeks.” That didn’t happen, but free agency might have muddied the waters. Same might go for the draft, but once that concludes on April 27, you wonder if somebody might finally pounce on the talented 31-year-old. Prediction: Kaepernick isn’t signed, but an injury finally paves the way for his NFL return in July or August. How will the schedule-makers react to a wild March? In other words, will the Cleveland Browns suddenly be maxed out with five prime-time games? They’re the talk of the league, and they should be damn good next season. The Patriots, Packers, Pittsburgh Steelers and Dallas Cowboys are always darlings, but what about the intriguing Raiders? Will the Buffalo Bills, New York Jets and Baltimore Ravens get more national-television love now that they’ve all good fun young franchise quarterbacks? The schedule is usually released a week or two before the draft. Prediction: Cleveland opens the season on Sunday Night Football against the defending champion Pats.